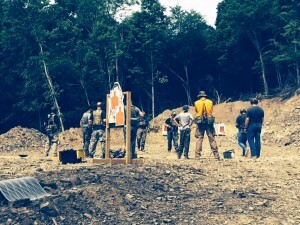 Above: Class at the new MVT square range, the range is not fully complete in the photo. I’ve seen a couple of things over on the forum that make me wonder if people are reading the website/blog? Is it easily navigable? Anyhow, I saw something on the forum post ‘Tactics for the newbie? Where to start?’ that led to to this post. I had a couple of red flags on responses people had posted, and it also made me consider if the word is out on the MVT Combat Rifle Manipulation (CRM) Classes? That is despite many excellent Student Reviews on these classes. In a bid to be more ‘full service’ I have built a square range at the training site. This was done to allow the addition of weapons manipulation classes to what MVT offers. There is a purpose in offering these new classes: simply, it is to allow you to train up to, and build confidence in attending, the tactical classes that are offered. This is because the weapons manipulation classes are designed as part of a progression towards combat training. 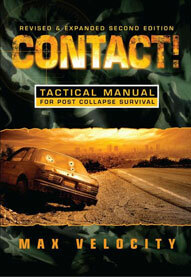 They are combat focused and will mesh with other classes you will do at MVT. 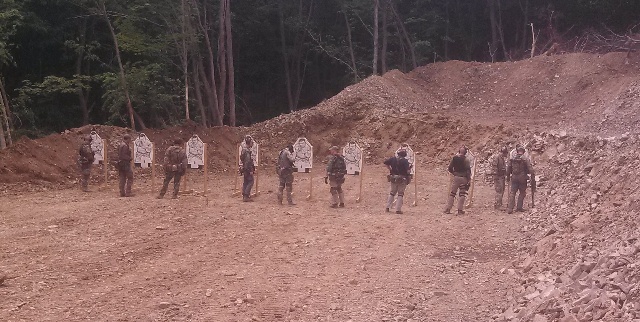 You can do a little homework on rifle stoppage drills HERE. These drills are covered as part of the Rifle Manipulation Primer(RMP) and Combat Rifle Manipulation (CRM) classes. I know that some of you want to get the manipulation stuff done at a local range. However, it is important to get it right, before you build up a whole bunch of training scars and potentially become a challenge to retrain. Because of my efforts to be more ”full service’ and ensure that students get this training right, I may even consider laying on some marksmanship fundamental classes, if there is sufficient interest. Most of the students have enough shooting experience to step into a manipulation class or straight onto a tactical class (usually with RMP before hand). An example comes to mind at the Alumni Weekend, where there was a wife who wanted to get into shooting more. Unfortunately, the thunderstorm stopped the ranges that afternoon. However, that is a perfect example of where she would need to go through some fundamentals training, before coming to a CRM class, followed by CRCD at some point. Please also don’t forget that MVT will run private tailored training, with either myself or Aaron. As such, we can run fundamentals training if you have team members that need it before they move on to the more advanced training. Tactics for the newbie? Where to start? Chris makes a good point. Remember too you will get a chance to zero at RMP and CRM. A Fundamentals of Marksmanship – basic target shooting class would be a great part of the program. In email with Max I’ve been working to get the wife spun up to at least ready go to CRM. 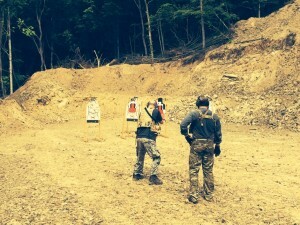 There is a serious lack of this type of training and I say that carrying an NRA card. Call it AR 101 or something. A 101 class would be great. Now that I see MAX does private lessons I may look at that route. MVT is here to train. Joe, Max and I will figure out a solution for you. Mostly Max will because he’s a lot smarter than me. I break rocks.